Acktar Light Absorbent Foil is used to eliminate light reflectance in applications where the direct coating of parts is not practical, including optical packaging, laser devices and platforms, IR systems, or passive thermal control. Acktar Light Absorbent Foil features high emissivity with low reflectance, low outgassing and compatibility with class 1 cleanrooms. 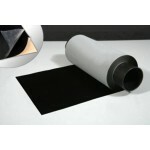 Acktar Light Absorbent Foil is available in pre-cut patterns or large sheets for custom patterns. Acktar Light Absorbent Foil is offered with Metal Velvet™ or Spectral Black™ coatings. 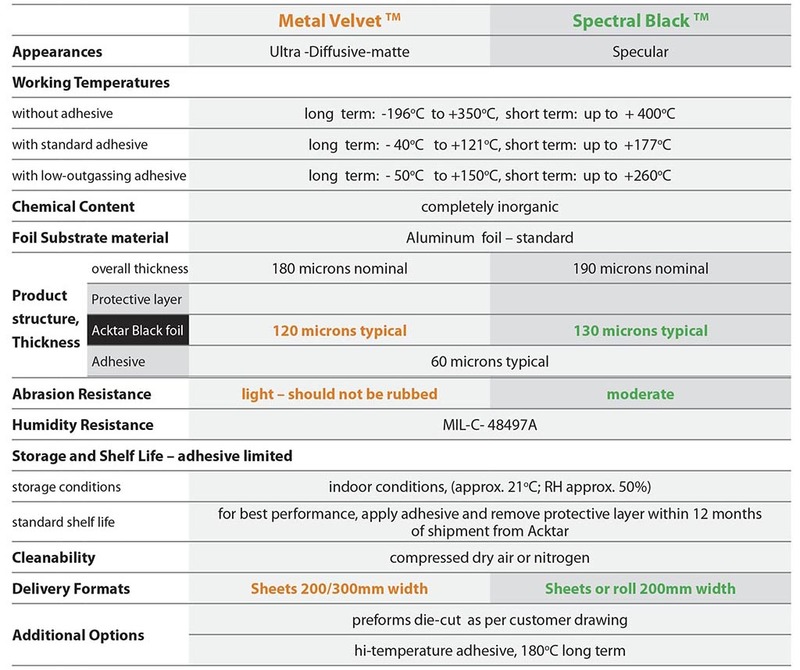 While Metal Velvet offers superior light absorption performance, Spectral Black is more durable and easily cleaned.